Today, I am so happy to introduce you to a Tallahassee-based home decor company called Coton Colors! Coton Colors specializes in gorgeous hand-crafted pottery and decor items and last week I was so excited to receive several pieces from their (incredibly cute!) 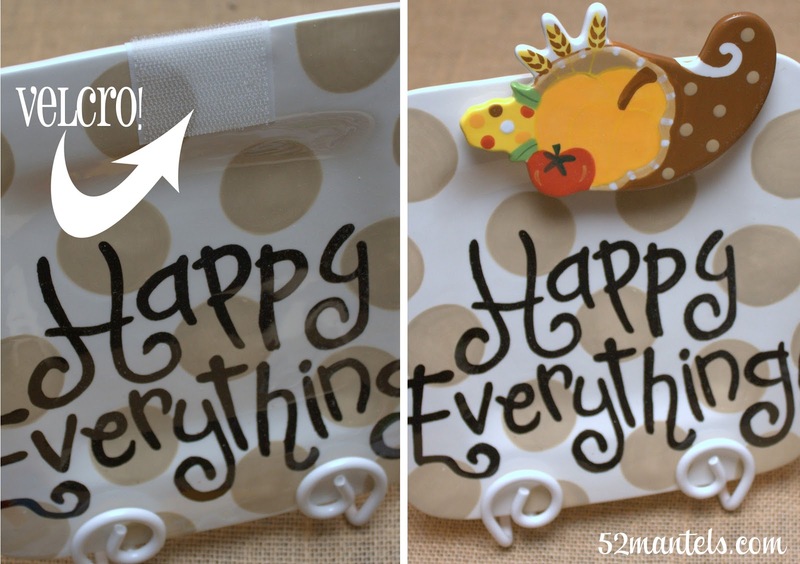 Happy Everything collection. But, I was also blown away to learn that Coton Colors is using their beautiful collection to fight hunger in a huge way. And, we can help! First, let me just share with you how incredibly clever, practical and beautiful this Happy Everything collection is! The collection consists of platters (in several shapes, sizes and colors) and removable attachments for all occasions. 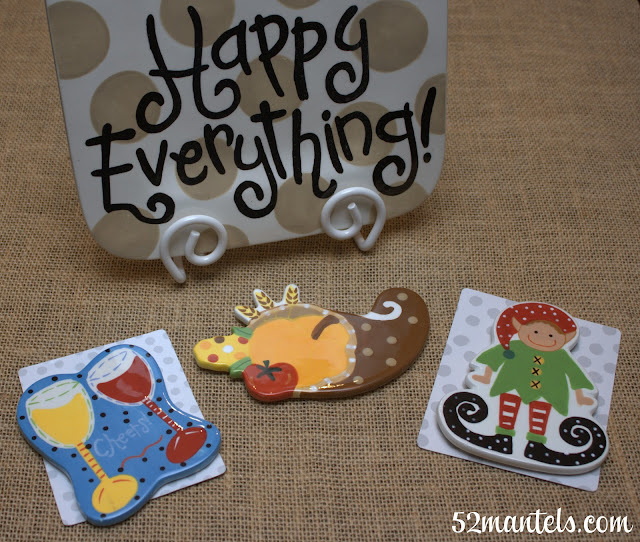 I received the Mini Neutral Platter with white stand, the Mini Count Your Blessing attachment, the Mini Cheers attachment and Mini Elf attachment. The best part of this concept is that the attachments stay in place with velcro and can be swapped out for each season and occasion. I love the versatility of that! You can bet I've already added several attachments to my Christmas wish-list (mom, are you reading this?!). 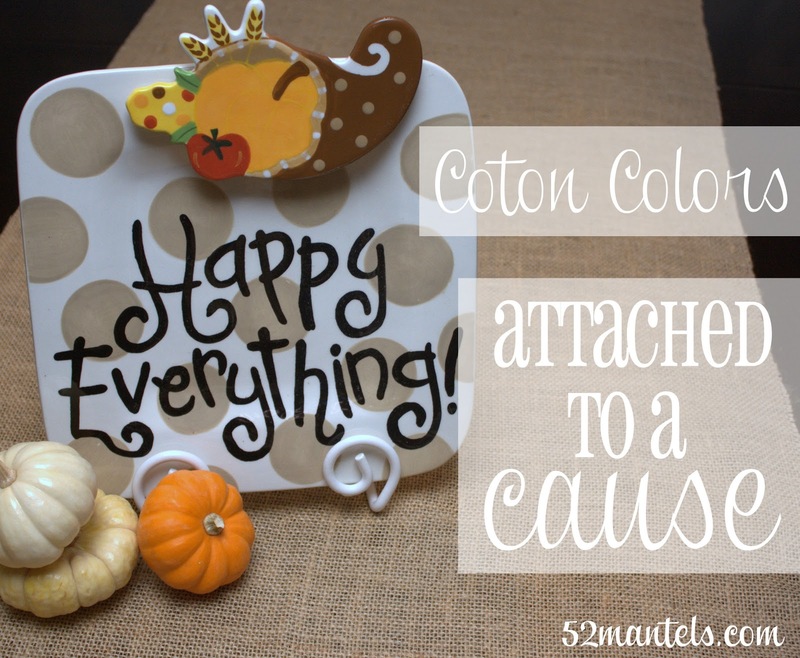 This year, Coton Colors has decided that ALL of the proceeds from the Count Your Blessing attachment will go directly towards food banks and hunger relief programs across this country. Incredible, right?! They've set a goal of serving 200,000 meals this Thanksgiving season and I'm so excited to share that goal with you today! I hope you take a moment to go check out their fun line of products and visit them on Facebook. I love a company that gives back to our communities, don't you?! **Though, I did receive products from Coton Colors to review, all opinions are 100% mine. Wow, that's amazing that they are doing that great of a service for the community. How wonderful. 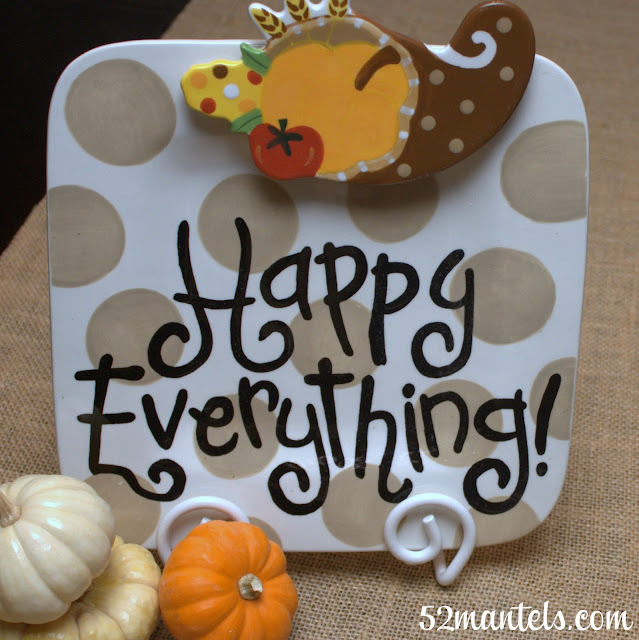 And the trays are so cute, too! :-) Can't beat that! So cute!!! I love them!! Thanks for sharing it with us!! What a great gift idea, too, Emily!! I'll be checking them out!